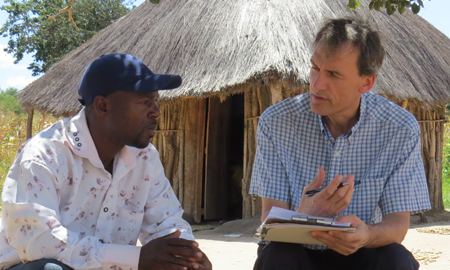 Ken meeting with Toka-Leya leaders earlier this month. Over 160 years ago missionary David Livingstone visited Victoria Falls. From then until now, the Toka-Leya people (who inhabit the area around the Falls), still do not have the Bible in their language. But that’s about to change thanks to what God is doing. And the exciting thing is that He is doing this through you. 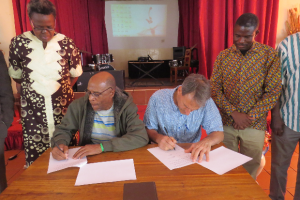 Earlier this month we signed an agreement to begin a Bible translation project in the Toka-Leya language. 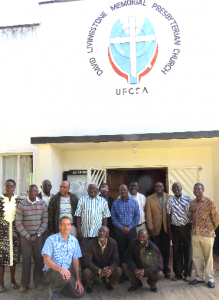 We had met for two days discussing the responsibilities of our organization, Partners in Bible Translation, and the responsibilities of the Toka-Leya Bible Translation Committee. 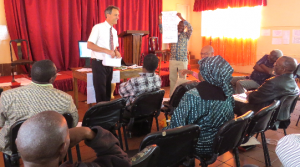 Each group will need to work together and trust God for the finances, personnel and other needs of the project. Signing this agreement was a historic event that can forever change the future of this people group. This commitment to begin is the first step in a long journey to see God’s Word put into yet another language. Ken and William McDonald, chairman of the Toka-Leya committee, sign the memorandum of understanding. What does this mean for you and us? To reach this language group will not be easy. The Toka-Leya people are located 17 hours away from where we live near the Kunda people with whom we are also doing a Bible translation. The road that connects the two projects is difficult and dangerous. This project will have obstacles of all sorts. It will stretch us. It will require more prayer and more commitment. But with increased sacrifice, there will be increased joy as more people come to know the message of God’s love in Christ. 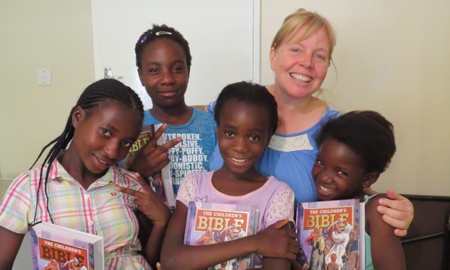 Missions Fact: The Bible is being translated into more languages now than at any other time in history. God is using you to send out His Word. 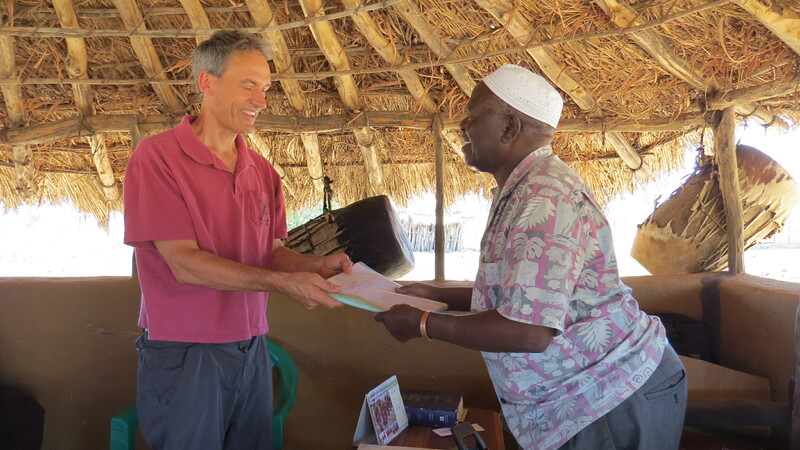 Starting another Bible translation while still doing the Kunda Bible translation is a big step of faith. We consulted with the PIBT board that oversees our work. And of course we prayed. Because God has shown His faithfulness through your prayers and support, we believe that we can do a second Bible translation project. It is Jesus who is sending us out together so that the Toka-Leya will join “every tribe, every nation, every language” around the throne to worship Him. 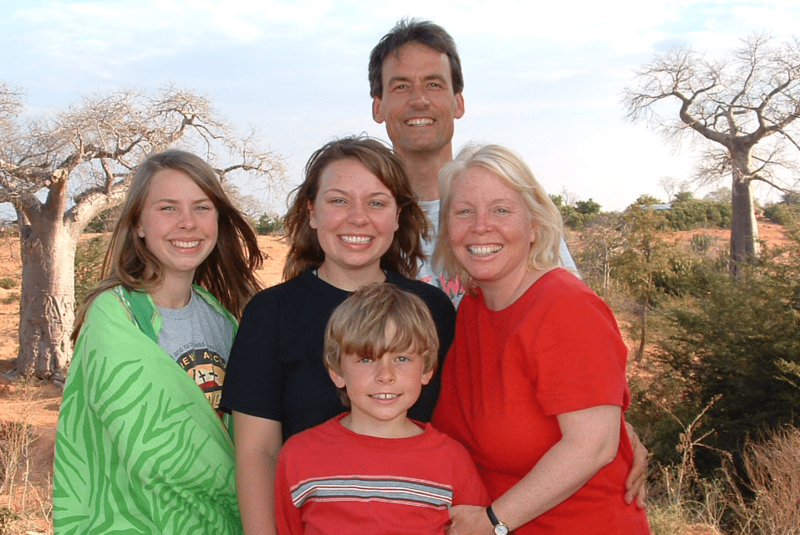 So, thank you for your gifts and prayers that make it possible for us to step out in faith to start a new project. Your partnership is “Jesus-in-you” – getting the message of His love to every heart. 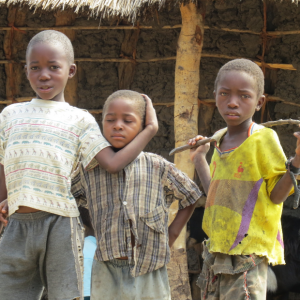 Toka-Leya children we met when we did a linguistic survey in the area four years ago. One day they will have the Bible in their language. 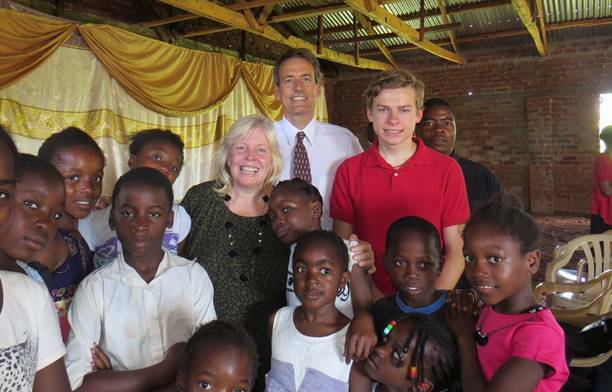 Ken with the Toka-Leya committee outside the David Livingstone Memorial Church in the town of Livingstone Zambia.